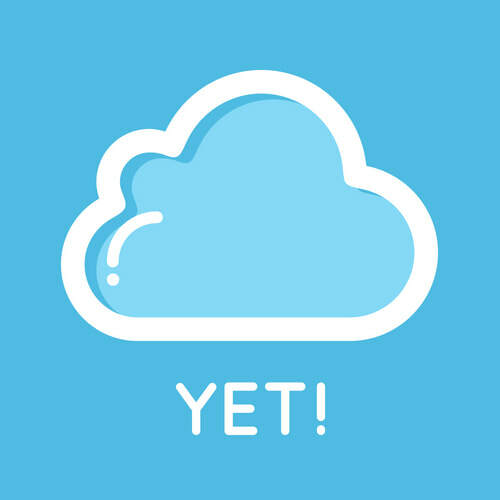 My quest to create a classroom community of the power of yet thinkers started out just a few short years ago. There I was standing in my very first classroom room, on my first very first day with 23 third graders staring at me, waiting for me to impart all of my wisdom onto them. I know a little dramatic, but it is how I felt. I was ready to change these students lives. I was going to teach them a lesson and they were just going to get it. How hard could this teaching thing really be! Then reality knocked me right down. My students were struggling with grade level content. Many of my students were reading at a first grade level and math was not much better. Not to mention that over 75% of my student were English Language Learners (ELL's). Everyday I was coming into class lock and loaded with different approaches to reach my students, but with no avail my students were not making the growth I was hoping for. With each new approach I was faced with "I can't do this", "this is to hard" or even worse the silent killer of flat out giving up. After a about two months I could feel the burnout start to set in, I needed to look for a different approach to reach my students. I started to notice that they simply did not have the stamina to perseverance in challenging situations. I soon realized that I was focusing my energy in the wrong place. I need to focus on the way my students were thinking! My students way of thinking was very black or white, right or wrong. They were trained to focus on the now instead of the yet! I wanted to see what would happen to my class dynamic if I focused on the growth they were making instead of the right answer. I needed to arm my students with mental tools that will help them face the challenges of of life. I started with celebrating my own mistakes and leading my class by example. In order to gauge my students mindset I gave my students several likert scales surveys. I administered pre and post surveys after several weeks of intense growth mindset lessons. A key component in developing a strong growth mindset with my students is to show them how many people believe in them. A great tool to create community in the classroom is Flipgrid. Both myself and parents sent personalized motivational messages before they started state testing. Mojo was designed by Classdojo, to teach students about Growth Mindset and other Social Emotional skills. There are a series of short videos to share with your students. After each video there are discussion questions for your classroom to talk about. Flipgrid is where social and emotional learning happens! Flipgrid is a video recording platform were student, teachers, and parents can share short videos with each other. It is a great tool to get families involved in developing a positive growth mindset send motivational messages. G Suites are a get start up of apps to use in the classroom. My favorite is Google Classroom. Google Classroom allows the teacher to post announcement and assignments in one location. G Suites includes Google Slides, Sheets, Docs, and Gmail.